Dramatic increases in expectations both in school and in the workplace mean that children today must internalize basic emotional, cultural and economic norms notably earlier than their parents or grandparents did. A recent article in the Washington Post highlights that most child development specialists suggest parents introduce “money identification” to their children by preschool, and continue with the financial education of their children all the way through school. Teaching your child about credit, the importance of credit, and how to manage their finances related to credit is one of the important financial lessons you can teach your kids. 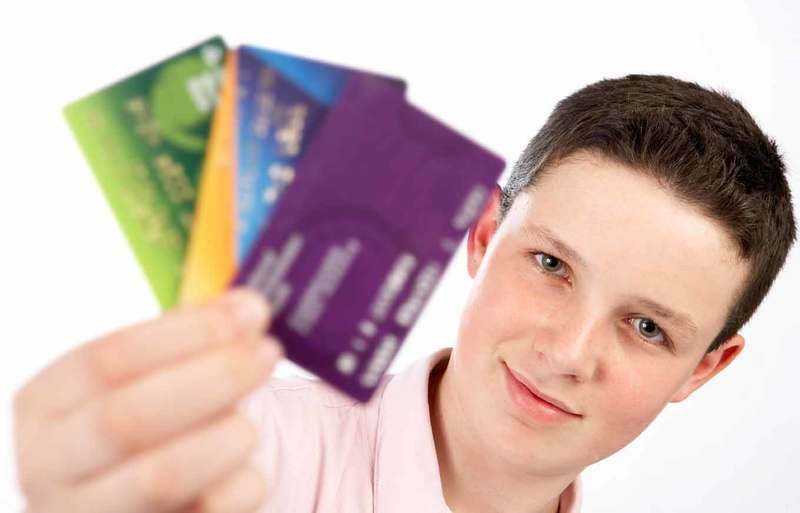 It’s definitely a good idea to start educating your kids about credit while they’re still in high school, because they need to be ready to handle a student credit card when they head off to college. Knowing how to manage credit is critical at this point, as not understanding how to budget and keep up with the debt payments can quickly lead to serious financial problems that will negatively impact credit. Begin to teach your children basic lessons about money at an early age, as early as two or three years old depending on their emotional/intellectual development. Three years old is about when a child really internalizes the difference between “need” and “want”. Instilling a solid understanding of what an individual really “needs”, and that “wants” should only come in small doses and should generally be earned, is a valuable life lessons that will stick with your child, and serve them in good stead in future financial decision making. According to a December 2017 USN survey, over 44 percent of the college student respondents had not received specific teaching from their parents or teachers regarding how to use credit or best practices for credit before they got their first credit card. Even more surprising was the fact that 40 percent of the students responded that they either don’t have any idea what their credit score is or don’t know what a credit score is. Another 46 percent of the respondents did not know the current annual percentage rate (APR) of their credit card, or didn't know what APR stood for. The results of this and similar recent surveys make it obvious that young adults need more financial education. Keep in mind that while occasionally using a credit card at school to start building a credit history is a great idea and recommended, misusing student credit cards to pay for entertainment or other regular expenses is a bad idea. A lower credit score makes life after college more difficult and expensive. According to 2016 Financial Services report from Student Monitor, college students with a credit card in their own name for at least 12 months had credit scores 50 points higher on average than those who didn’t have their own credit card. 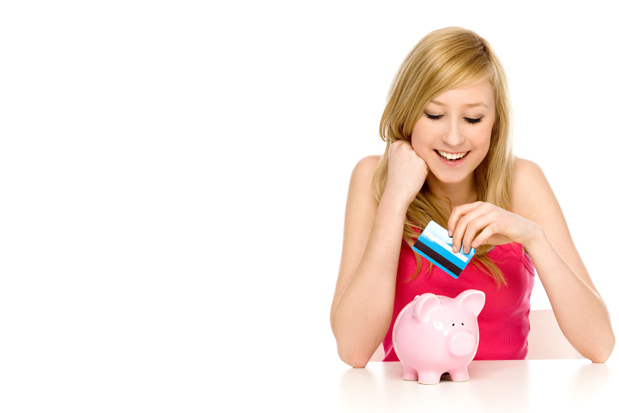 Having good credit makes life easier in a number of ways. For example, the Society for Human Resource Management points out that almost half of employers today conduct background credit checks on potential new employees (although note that 11 states have restricted/prohibited employers from using credit background checks in hiring). Also note that insurance companies also review credit reports when determining the rate and whether to offer an auto insurance policy. Consumer Reports notes that single drivers who had “good credit scores” paid between $68 and $526 more in car insurance premiums a year than those with “excellent credit scores”. A good credit score also helps in the approval process for an apartment or allow you to put up a lower deposit. According to TransUnion credit bureau, 43 percent of landlords run credit checks on applicants as part of screening toady, and almost half say an applicant’s credit report is among the top three factors in evaluating apartment leasing applications. Having an already established credit history may also mean you qualify for a lower deposit, or no deposit at all for phone service, gas, electricity or other public utilities. So your little girl is all grown up, graduated high school, and on her way to college. She’s all set to go, got a scholarship, has enrolled in classes, bought books, has a dorm room, but one last detail remains. It’s time to get her financial future moving along as well, so her proud parents are going to help her apply for her first student credit card. The process of trying to choose the right card for your daughter out of the scores of student credit card offers out there can seem a bit daunting at first, but US News and World Report has prepared a series of useful reports on the top student credit cards that dramatically simplify things. As the USN report highlights, the first step in choosing the ideal student credit card is a self-assessment. Once you’ve got a good idea of your needs, then the next step is to decide what kind(s) of student credit card you are interested in. Discover it Secured Credit Card.